PECOS (Provider Enrollment and Chain/Ownership System) is the e-portal that physicians use to enroll in Medicare. Some physicians don't have current records in PECOS because they haven't submitted any enrollment information updates to Medicare within the last 5 years. 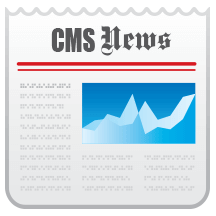 Use these tool to check if the physicians you work with are registered with CMS' PECOS program. CMS' rules state that claims sent to CMS will be rejected if an ordering physician is not identified in Medicare's PECOS enrollment system. Begin using PECOS Search engine available now for free.